Home > Dining and Gourmet > Desserts > Häagen-Dazs: Enjoy 1-for-1 Double Scoop Ice Cream at All Häagen-Dazs Shops! 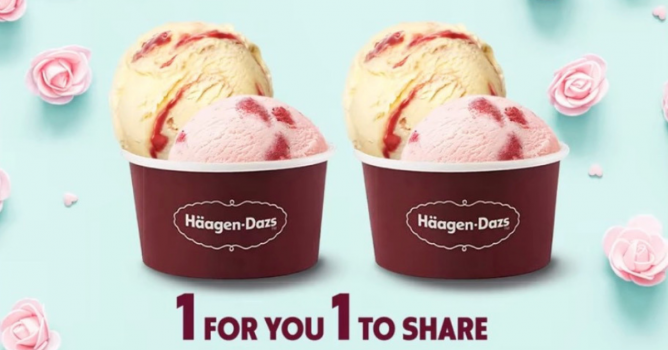 Promotion: Enjoy 1-for-1 Double Scoop Ice Cream at All Häagen-Dazs Shops! 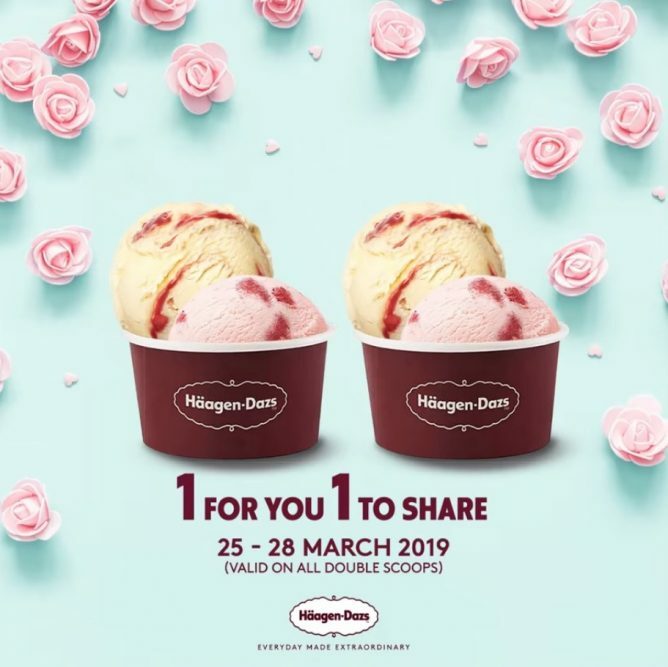 Promotion valid from 25-28 March 2019, at Häagen-Dazs shops nationwide. Available for Takeaway only. Not valid in conjunction with any other promotions or discounts. Valid for all double scoops. Previous: 7-Eleven: Get NEW Hokkaido Milk Mr Softee at $2 for 2 Cups! Next: [MDS] An exclusive offer for you – 20% off 2 Sale Items!